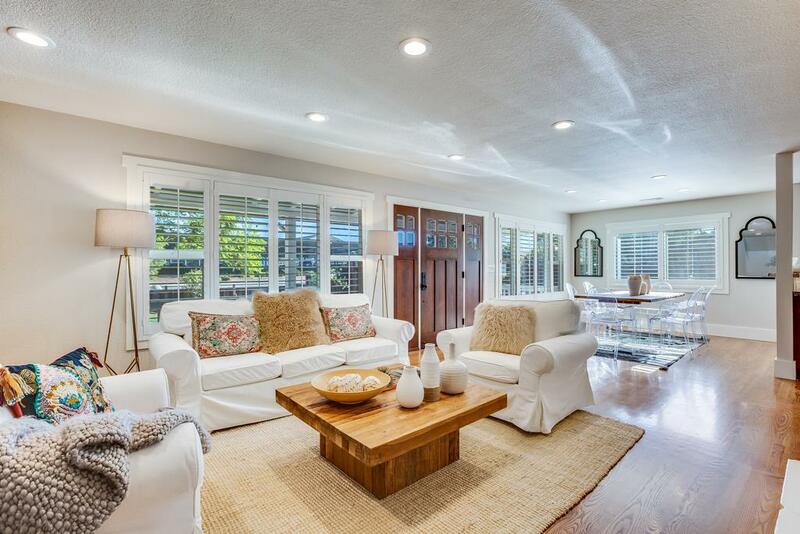 Beautiful Sunnyvale home remodeled in 2015. This home features, newly finished hardwood floors, updated LED lighting, 2 tankless water heaters, custom wood doors, custom plantation shutters, custom front door, custom oversized garage door, master suite w/ walk-in closet and wall closet, master bath w/ luxurious soaking tub, spa shower custom cabinetry and marble. Light filled gorgeous kitchen w/ custom cabinets, granite counter tops and Wolf range just perfect for entertaining family and friends. Permitted workshop w/half bath lots of possibilities for this space! Situated in the heart of the Silicon Valley on a large corner lot with an abundance of nearby shopping, Serra Park, easy commute access, minutes to Apple park and top rated Cupertino schools (buyer to verify enrollment) this home is one you won't want to miss!